Today at 10:26 a.m. our lives changed forever for the better when our baby, William Hunter Perri was born. 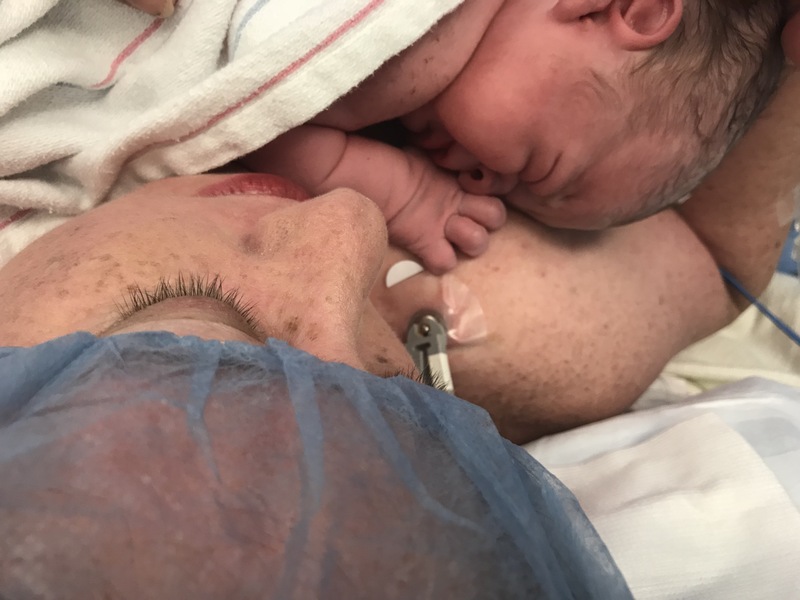 He was born at 39 Weeks as scheduled by Dr. G. I had felt some contractions the night before and day of, yet they were not strong enough to be true labor pains I was told when we were at the hospital Labor and Delivery. 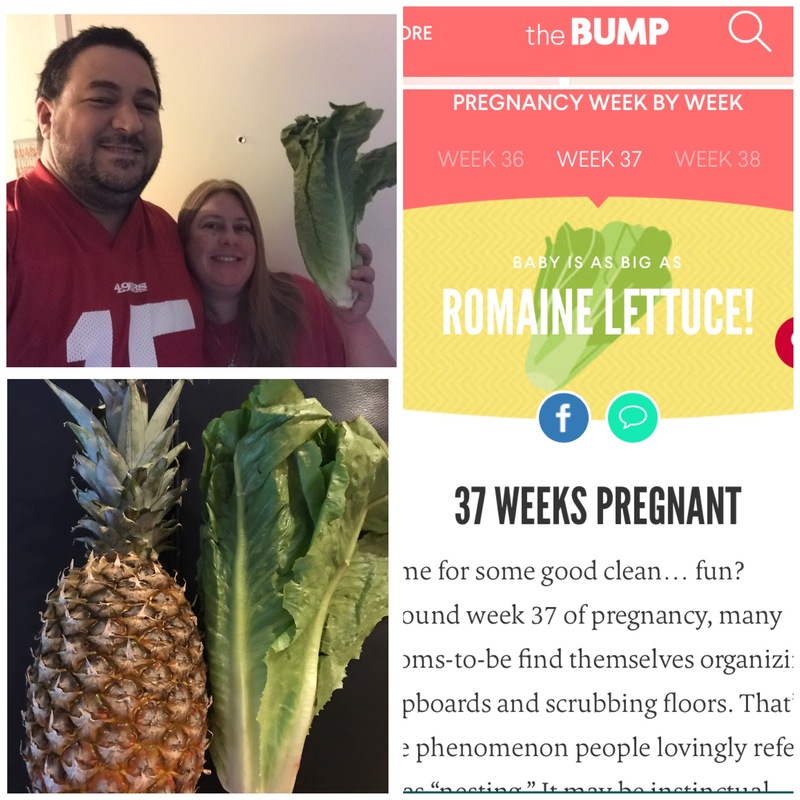 Author Over40FirstTimeMom.comPosted on October 23, 2017 October 30, 2017 Categories Our Baby Week by Week1 Comment on Welcome to the World, William! 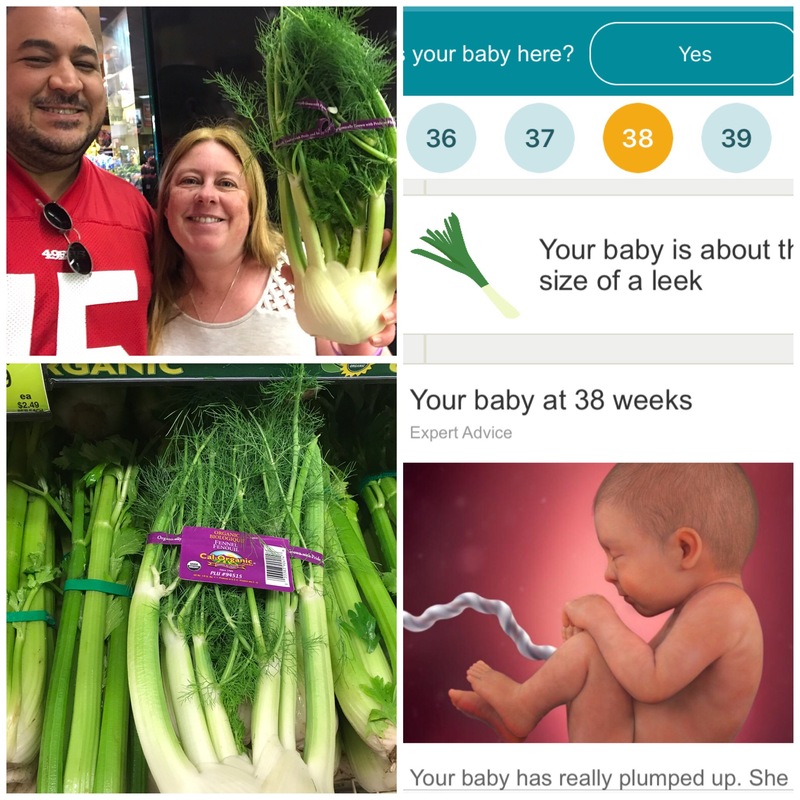 Today our baby is 38 weeks, the size of a leek. 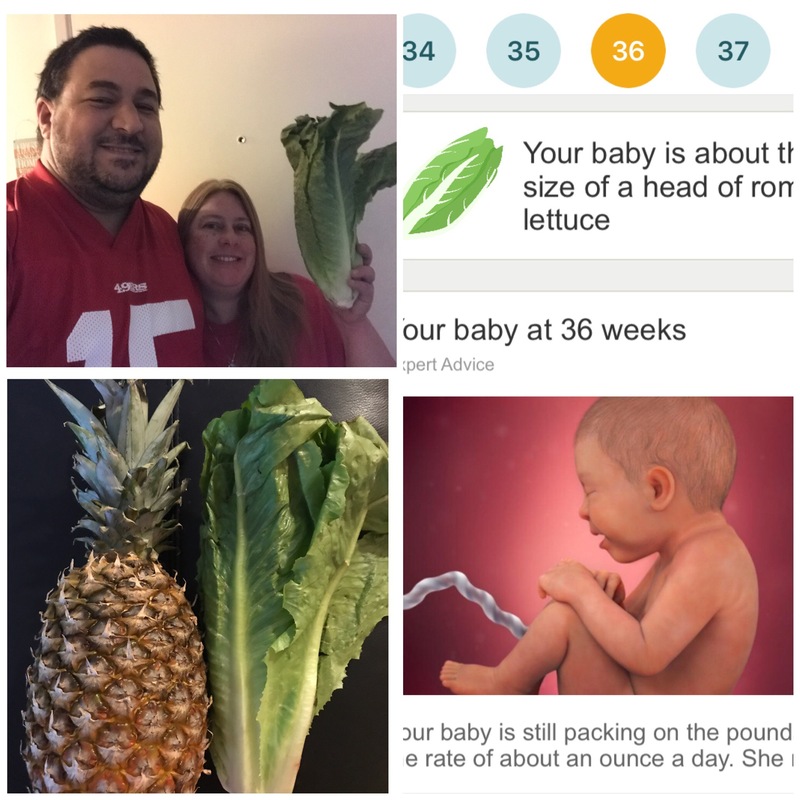 Our baby today is 37 weeks in gestation the size of Swiss Chard according to Baby Center or according to The Bump the size of Romaine Lettuce (which is what Baby Center used last week for comparison). This puts our baby at 19 inches and about 6 3/4 pounds. Though years ago doctors would have put our baby in the full term category, this is now considered early term. Today our baby is 36 weeks along, the start of my ninth and final month of pregnancy. This puts him or her at the size of a Romaine Lettuce head at about eighteen and a half inches and six pounds in length. S/he is on track to put on about an ounce and a half daily. For a size comparison I our this week’s comparison food up to last, the pineapple. Today our baby is 34 weeks in gestation. This is coincidentally the week that according to my mom I made my appearance, though Matt and I are of course hoping our baby will stay put and continue growing in my womb. 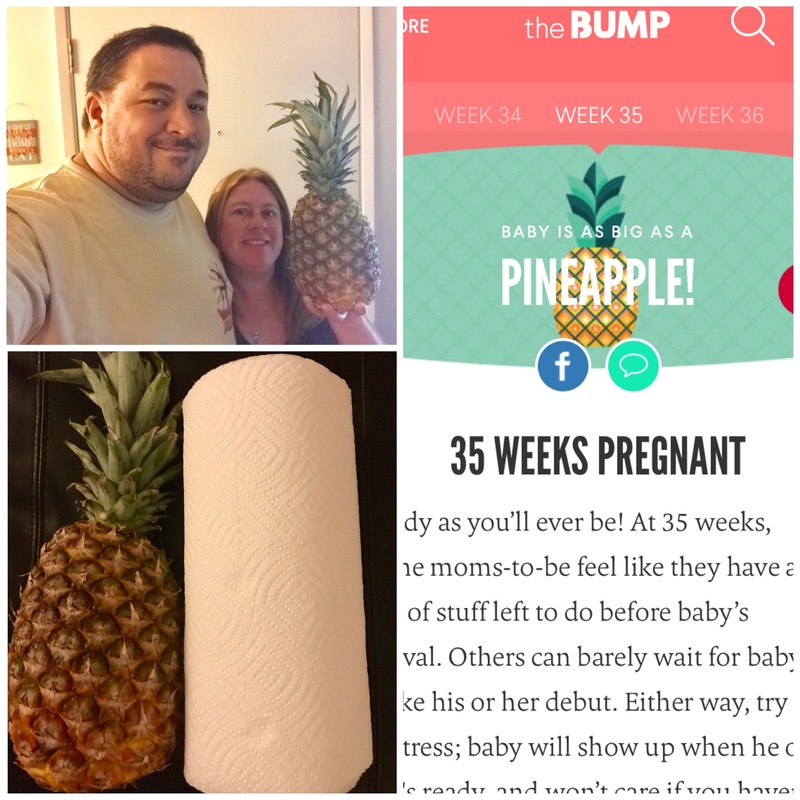 At 34 weeks our baby would be expected to be 4 4/4 pounds, the size of a cantaloupe, and 18 inches long. 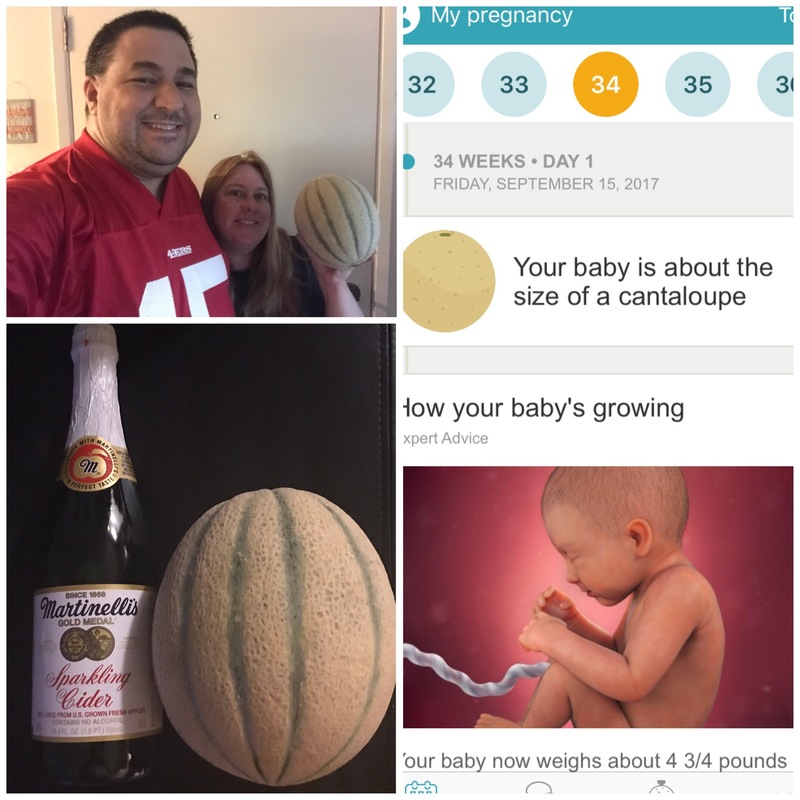 For size comparison I put a cantaloupe up to a bottle of Martinelli’s which Candy bought a few of for my shower that was last week. Matt says the cantaloupe is probably smaller than the celery we had for last week’s comparison food, and this may well be the case. Our baby is 33 weeks as of today, putting him or her at an estimated 17 inches and just under 4 pounds. 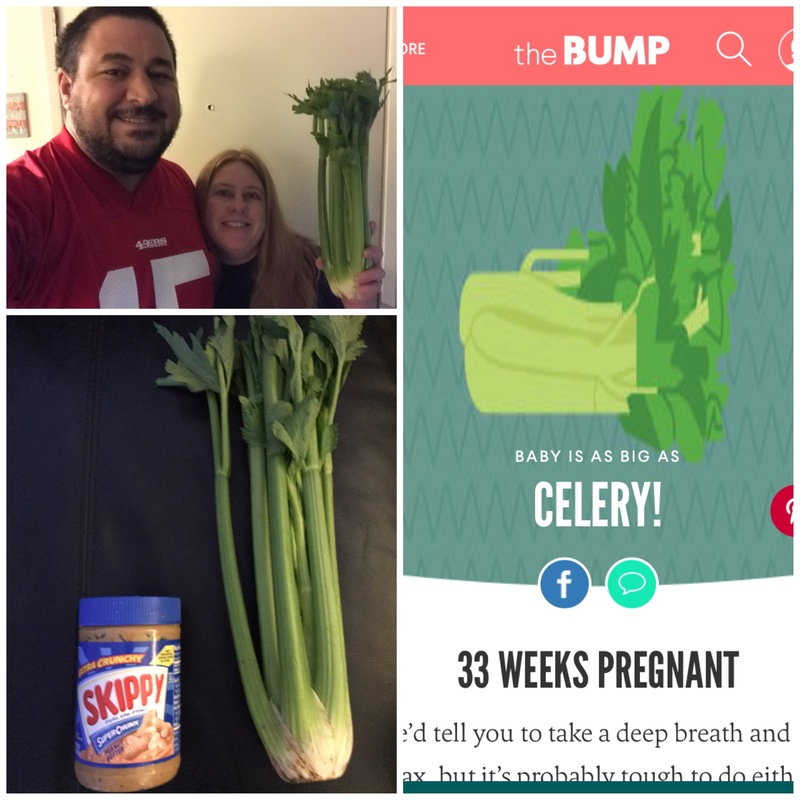 This is comparable to the size of a pineapple or alternatively the size of celery, a favorite of mine as a Gestational Diabetes approved snack with peanut butter.